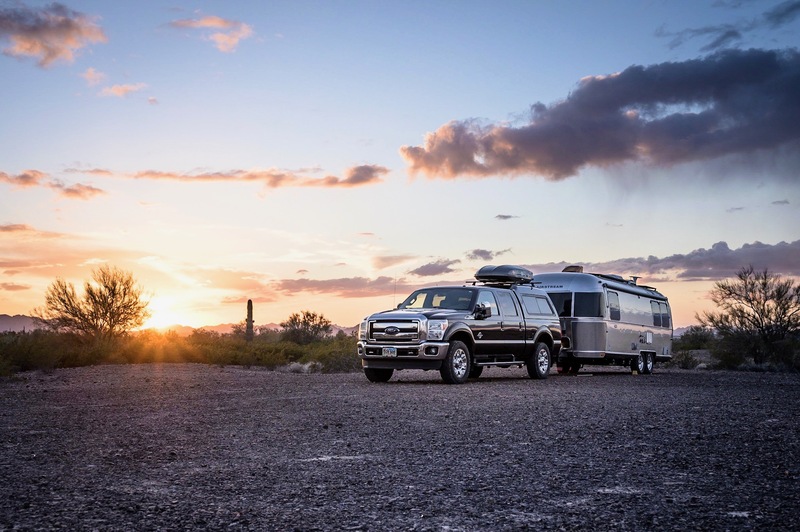 Having spent the past five weeks living full-time in the Airstream, Kelly and I used the Labor Day holiday as an excuse to hit the road and let the Airstream stretch her legs. We’ve been parked for far too long without a trip and were really excited to get away. Of course, we chose Oregon as our initial destination … southern Oregon to be specific. Odds are good we’ll land someplace near Ashland. We’ll see what happens. 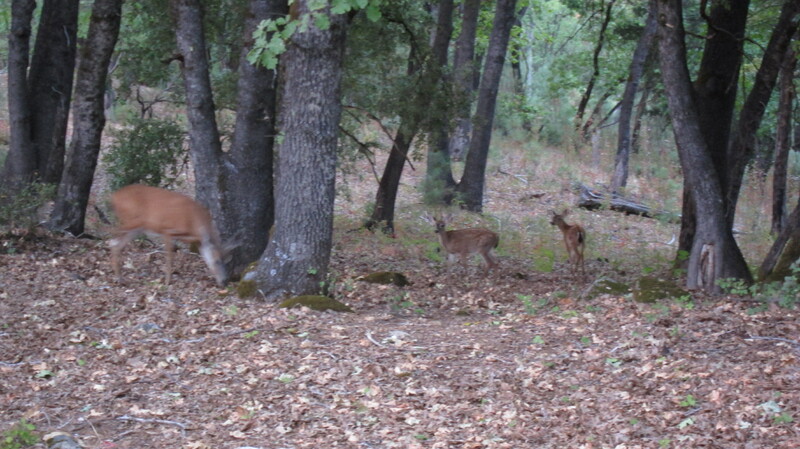 For now, we’re parked in a beautiful place – Brandy Creek campground near Whiskeytown, CA. We’re traveling I-5 in order to make decent time. I also wanted to get our truck/airstream combo weighed which essentially limits us to the interstate where semi-truck mega stop are plentiful. Have yet to weigh our set-up, I was anxious to verify whether or not we are loaded with too much stuff. (UPDATE – we were not … in fact, we had lots of room to spare, but our weight distribution needs some refining). Brandy Creek is a bit out-of-the-way – about ten miles, but the detour was worth it. There are no hooks-ups, which was fine with us because we needed/wanted to test drive our new Yamaha generator. All went well I happy to report. There were about 30 total sites, of which about half were taken. Of course, the people next to us thought it would be cool to be loud — too loud I thought. Who decides to wait until 10:30pm to set-up tents? Is the 40 foot RV and the monster generator not enough? Good grief. 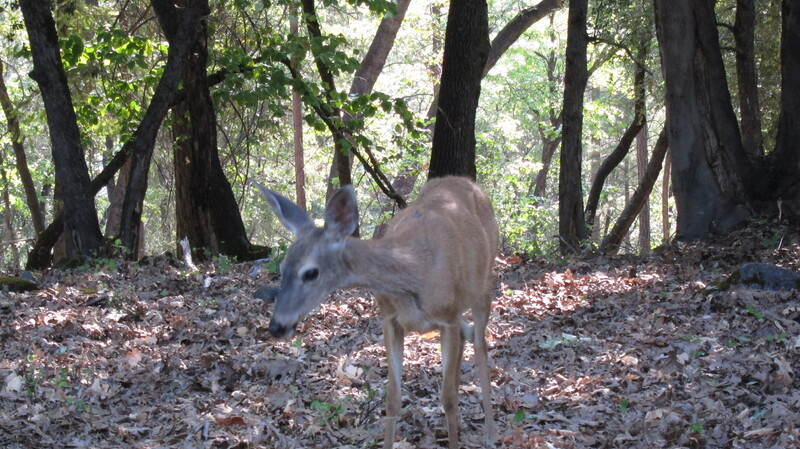 Apparently – as you can see in the pictures below – the deer were not annoyed. Food is food and the knuckleheads next to us had seemingly unlimited supplies of bread to toss on the ground. The deer seemed quite satisfied. In addition to its namesake creek, there is a great beach and mountain lake, but I forgot to grab my camera, so no pictures. Tomorrow we’re off to Oregon.